Your stay at the Cedar Court Hotel Wakefield 4* places you in the picturesque and serene Wakefield District. Recently refurbished to create a modern and contemporary space, the Cedar Court Hotel Wakefield 4* is designed to exude the warmth and hospitality of Yorkshire. Our members will enjoy daily breakfast and a 2 course evening meal with a glass of prosecco per person. Your stay at the Cedar Court Hotel Wakefield 4* places you in the picturesque and serene Wakefield District. This area of Yorkshire is ideal for art lovers, history hunters, and those looking for a bit of fresh air and countryside charm. Enjoy a slice of idyllic Yorkshire countryside and discover the striking landscapes that have inspired artists and travelers throughout history. 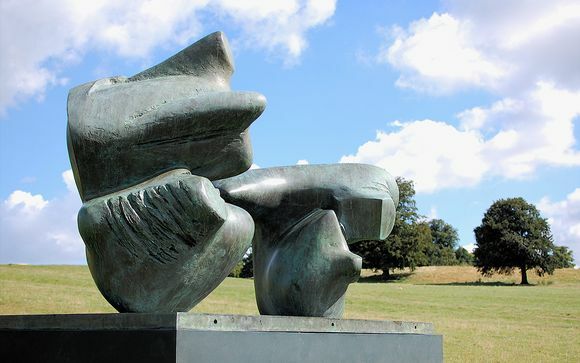 Learn more about Wakefield's art heritage (renowned sculptors Dame Barbara Hepworth and Henry Moore) were both born here. A former miner town, be sure to visit the National Coal Mining Museum. Fancy something a bit more traditional? Visit the National Trust Nostell to experience the grandeur of an 18th century English mansion or travel through time as you explore the medieval Pontefract Castle. The Pugneys Country Park offers windsurfing and the Gravitity Trampoline Park is an equally thrilling afternoon out. Recently refurbished to create a modern and contemporary space is the Cedar Court Hotel Wakefield 4*, designed to exude the warmth and hospitality of Yorkshire. At the Cedar Court Hotel Wakefield 4*, you will find comfortable bedrooms and a sleek lounge area. Spend a sunny morning strolling the gardens or enjoy an alfresco dining experience. 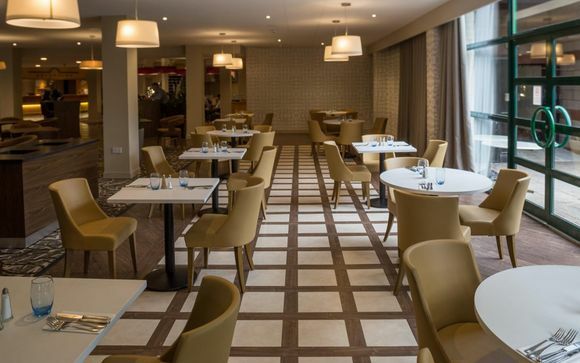 The Cedar Court Hotel Wakefield has recently relaunched its onsite restaurant, Restaurant 85. Open daily to both residents and non-residents, Restaurant 85 provides a contemporary dining experience including the new hot stone steak experience. The health conscious guest can visit the health club at the Cedar Court Hotel Wakefield, boasting brand new state of the art gym equipment. 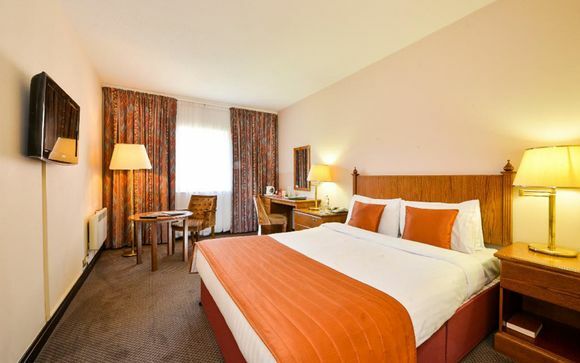 During your stay at the Cedar Court Hotel Wakefield 4*, you will stay in a modern and comfortable standard room. Your standard room features neutral and contemporary decor along with a desk/work area, free WIFI, a private ensuite bathroom, and tea and coffee making facilities. 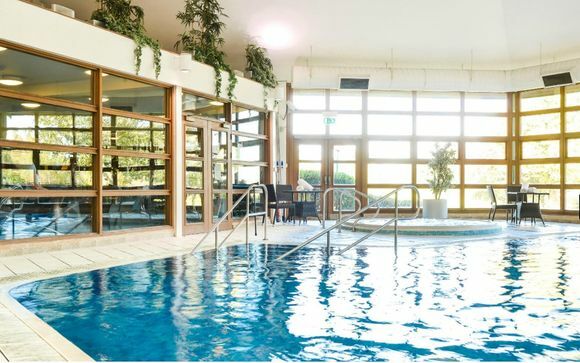 Our members will enjoy half board basis (breakfast and evening meal served in the main restaurant - excluding drinks) while staying at the Cedar Court Hotel Wakefield 4*. Afternoon Tea is available daily in both the lounge and restaurant area. If the weather is right, why not enjoy a steaming cuppa in the newly landscaped outdoor seating area and admire the garden? With your tea you are able to enjoy delicious sandwiches, a cheeky glass of bubbly, and a mouthwatering selection of homemade sweet treats like cakes and scones. Restaurant 85, open daily to both residents and non-residents, serves breakfast, lunch, and dinner. Here you can enjoy a menu featuring an extensive choice of dishes to suit all tastes alongside a well-crafted wine list. The star of the restaurant is the new Steak on Stones experience - allowing you to cook each bite to your liking.